Voice Weavers are visiting Japan on a goodwill tour in April. We're performing at a music festival being held at Hoso University in Tennoji, a joint event with Crazy Clef at Kyoto University, a charity concert for the tsunami victims in Sendai, a joint event with the Oratio Club in Tokyo and finally an appearance at a Requiem Concert at Hamarikyu Hall, Tokyo. The concert in Sendai is the fifth annual charity concert to assist those who have been affected by the 2011 tsunami (and Voice Weavers have been invited to perform). Keep an eye on our Facebook page for updates of our travels! Voice Weavers will be visiting Japan on a goodwill tour in April. We are performing for a music festival at Hoso University in Tennoji, a joint event with Crazy Clef at Kyoto University, a charity concert for the tsunami victims in Sendai, a joint event with the Oratio Club in Tokyo and finally an appearance at a Requiem Concert at Hamarikyu Hall, Tokyo. The concert in Sendai is the fifth annual charity concert to assist those who have been affected by the 2011 tsunami (and Voice Weavers have been invited to perform). At this pre-trip concert, we are presenting the songs we will take to Japan, including a few in Japanese and one in Latin. We invite you to join us. 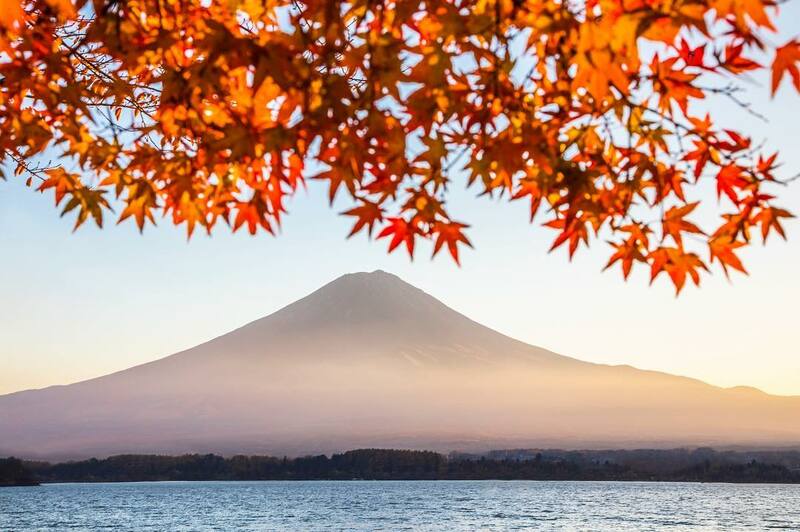 We have a special guest Japanese Koto player, Takako Nishibori, and there will be a raffle, a silent auction and cafe operating on the day with home made delights. So come along, enjoy our songs and help us raise some funds to present to the reconstruction charity for Tsunami survivors. It’s five years now that Voice Weavers have started the season with a Music Retreat at the lovely Bornhoffen Centre. We use this get together to dust off the cobwebs and polish up some of the current songs, learn some new music, have workshops and do some group bonding. 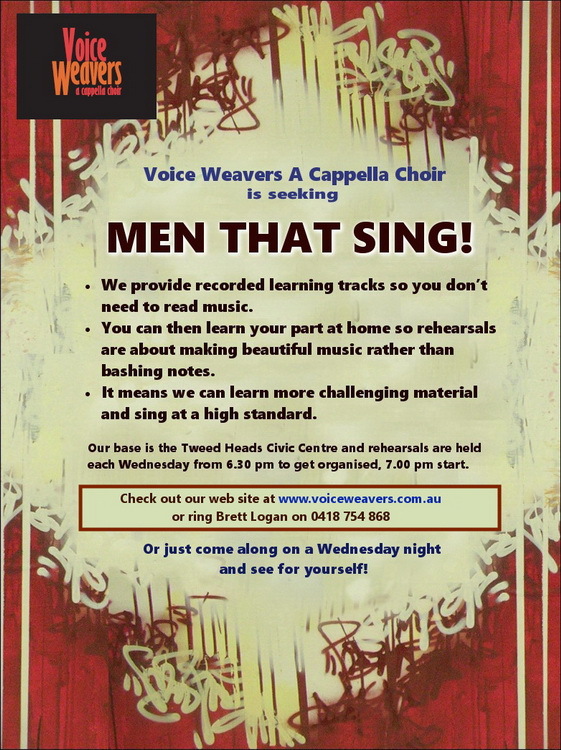 We invite interested singers to join us to see what we are all about, sing some songs and think about whether joining Voice Weavers A Cappella Choir might be a fun thing to do. The cost is $160 for two nights’ accommodation, all meals and a special workshop with David Sowden, vocal coach, on Sunday morning. There will be some Karaoke fun to be had on Saturday night as well. Check out the web link for Bornhoffen www.bornhoffenpcyc.org.au and there is more information about Voice Weavers on www.voiceweavers.com.au. Please contact Sophy Graham, our Treasurer, at treasurer@voiceweavers.com.au if you are interested in booking to come to Bornhoffen or Margaret Reichelt, our Membership Co-ordinator at join@voiceweavers.com.au if you would like some information on joining Voice Weavers. 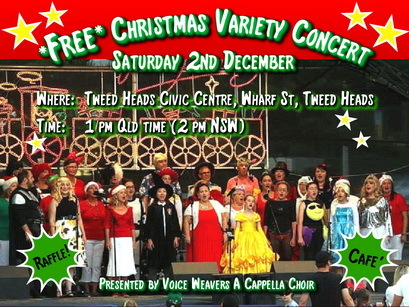 Voice Weavers invites everyone to join the fun of our Free Christmas Variety Concert where you can enjoy your favourite Christmas Carols and songs undercover on the afternoon of Saturday 2nd December. We hope to create the feel of a ‘Carols by Candlelight’ without the worry of weather! 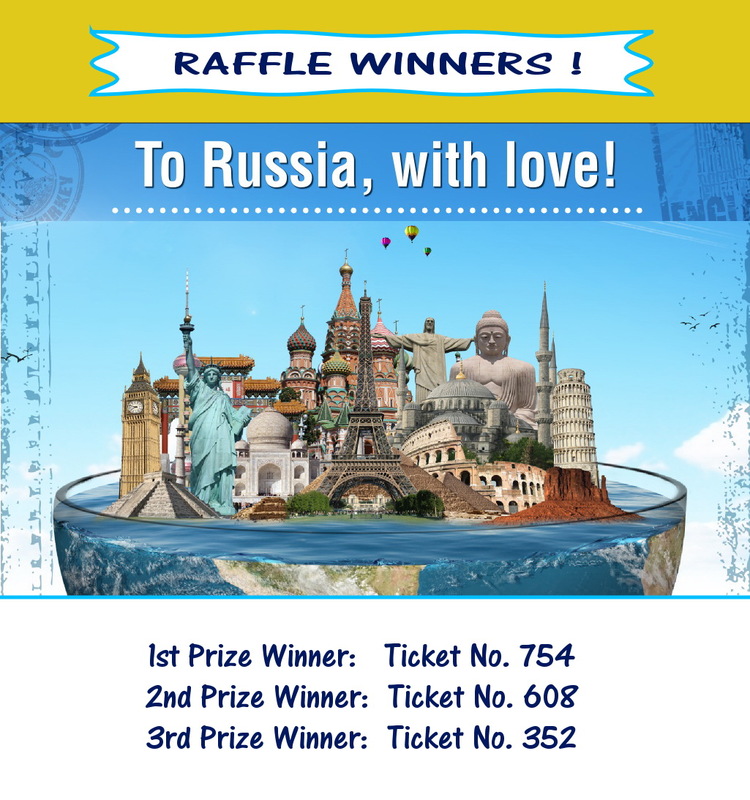 There is a raffle, of course, and the Voice Weavers Cafe will be operating inside the auditorium where you can select from the delicious goodies that will be available. The fun starts at 1 pm Qld time (2 pm NSW), get there early to choose the best table. Donations will always be appreciated. Many thanks to Helloworld Surfers Paradise for their very generous donation of First Prize for our raffle. TO RUSSIA, WITH LOVE ! 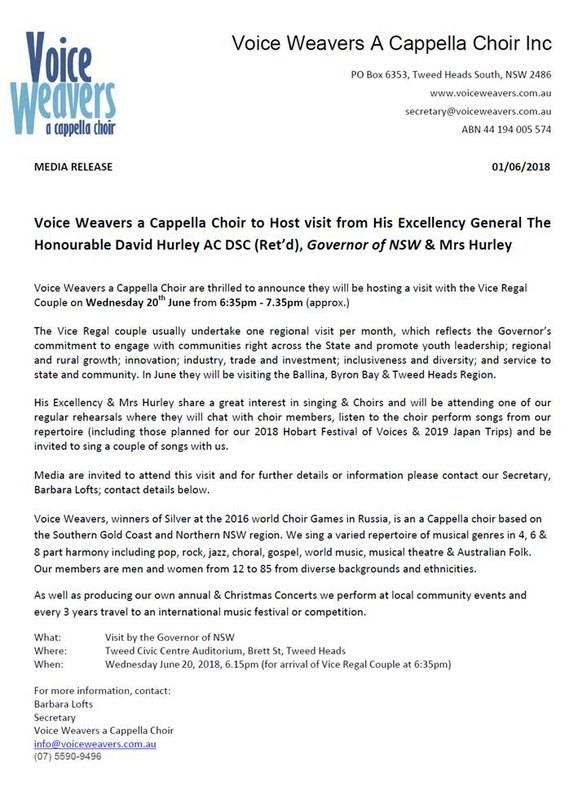 Voice Weavers Choir will soon be appearing on the world stage – literally – through our participation in the World Choir Games in Sochi, Russia, in July. Billed as the largest choir competition in the world, it gives us the amazing opportunity of seeing the best choirs from around the world while testing our own skills. The 2014 games – held in Riga, Latvia – saw 27,000 people from 73 countries competing at the 11-day event! At Sochi, we'll be competing in the Scenic Pop/Show Choir section and the Folklore A Cappella section of the Open Competition. We'll also appear in a Friendship Concert performance and with the Festival Stage Choir for the Great Celebration concert. We've been told by the organisers, Interkultur, that we're the only Australian choir to have registered for the event – so we're representing Australia!! 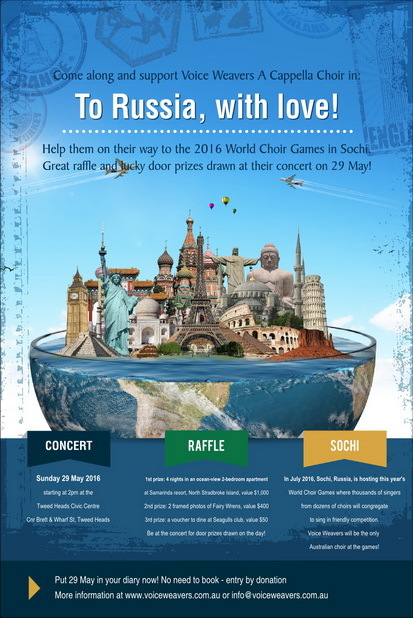 On the afternoon of Sunday 29 May from 2 pm at the Tweed Heads Civic Centre, cnr Wharf Street and Brett Street, Tweed Heads, we'll be holding a fundraising concert to show off everything we've learnt and to raise funds to help offset the high costs of travelling to Russia. Entry is by donation and we will also have lucky door prizes, silent auction and a fabulous raffle. We'd love your support, so put the date in your diary!! In between two international engagements (in 2013 and 2016), members of local choir Voice Weavers are keeping their vocal chords warm with their new show, Songs from Stage and Screen. 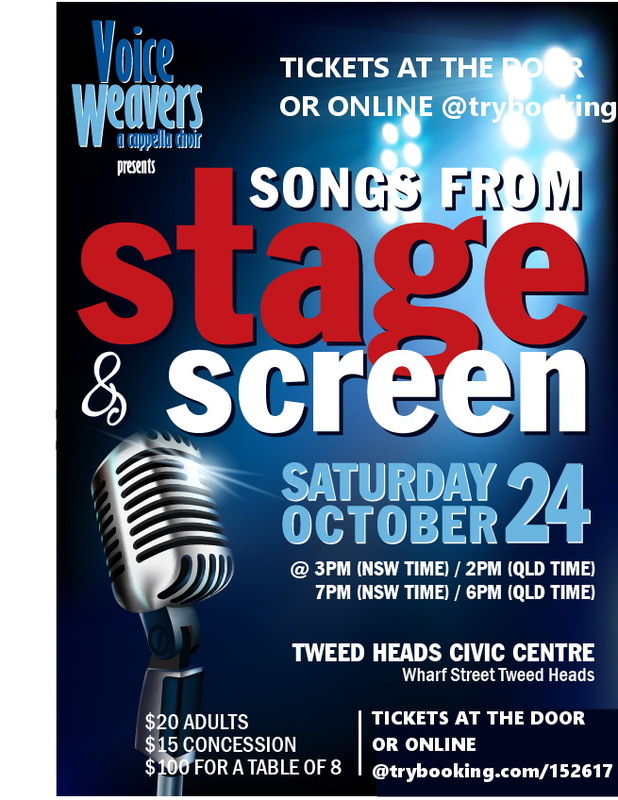 Hitting the stage on 24 October, this show will feature a fabulous selection of popular music by composers and singers as varied as Andrew Lloyd Webber, Elaine Page and Elton John. Audiences will be entertained by songs from well-loved stage shows like Evita and Chicago and from timeless movies such as Disney’s The Lion King and everyone’s favourite, The Sound of Music. This show will form part of Voice Weavers’ preparation for the World Choir Games being held in Sochi, Russia, in July next year.